Erik Wolpaw is best known for his work on the Half-Life and Portal series at Valve. He joined the company in 2004. Now, over a decade later, he’s off. Related: the best PC games. 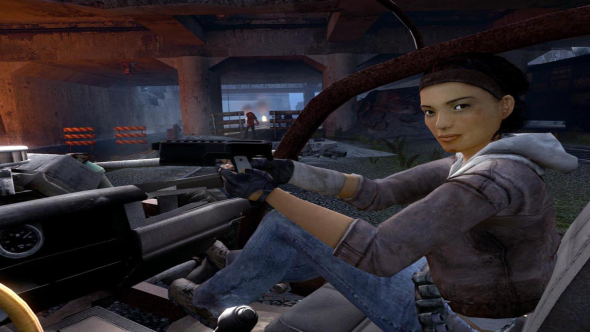 Wolpaw helped pen Half-Life 2: Episode One and Two, along with co-writers Marc Laidlaw and Chet Faliszek. He also co-wrote Portal with Kim Swift, as well as Portal 2 with Faliszek and Jay Pinkerton. @Wolpaw left Valve so I can now insult him freely without damaging the company's reputation. He's a comic genius and a true original. Before Valve, Wolpaw also co-wrote the story for Psychonauts. It’s been known for a while that he’s helping with Psychonauts 2, so presumably he’s gone to work on that full-time. The news of his departure comes via a post on Erik Wolpaw’s Facebook page. Meanwhile, Valve seem to be focused on Steam and VR titles, with three games in the works.